How Can We Say Outsourcing Legal Drafting is a Wise Choice? How Can We Say Outsourcing Legal Drafting is a Wise Choice? How Can we Say Outsourcing Legal Drafting is a Wise Choice? Opting for outsourcing legal drafting services by business establishments which commonly need and utilize any kind of legal documents such as employment contracts, sale or purchase contracts or leases and contracts oftentimes turns out to be an extremely wise choice. A lot of companies are lacking a separate legal division and make an effort to draft the documents on their own, which possibly uses up a considerable amount of time or might result in errors triggering devastating outcomes. Making use of expert and qualified drafting services guarantees that your work is going to be carried out in a correct manner and in a reduced amount of time. Generally, large-scale legal firms and regional solicitors do not focus on drafting work and those that do usually ask for a crazy amount. As a result, one of the most effective alternatives is to outsourcing legal drafting services to an offshore company. Certain internet sites likewise offer free of cost software programs or tools for specific drafting preferences however they are generally not 100% precise. Whilst, a few other sites contain huge databases of free legal documents that can be saved and printed after which the users can make the required modifications or complete the blank areas according to necessity; however these techniques are merely a solution for straightforward and general documents. Outsourcing legal drafting is an exhaustive procedure which demands to pay close attention to details to generate error-free immaculate documents. 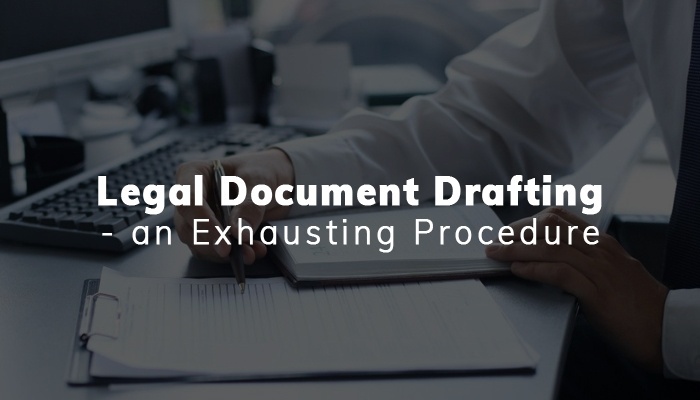 Legal drafting procedure takes care of editing, proofreading, copy editing documents and reviewing for errors in pre-drafted documents and then re-drafting them as needed. Attorneys, judges and other legal workers handling exclusive or complicated documents give preference to outsourcing their drafting work to expert legal process outsourcing companies for their comfort. With far-reaching hands-on practical knowledge, outsourcing companies offer customized solutions at economical costs with quick turnaround time. These companies will often be able to perform faster as compared to a solicitor since they are actually knowledgeable about the areas of law and do not have to perform intensive research to be able to get the job done. Read Also: Contract Review And Management Services: How Can it Benefit Legal & Business Firms? Businesses offering specialist and skilled legal drafting services are seasoned and capable of offering customized solutions for various necessities of numerous clients.